KBR Inc. violated the whistleblower protection rule by using "improperly restrictive language" in its confidentiality agreements, the SEC says. 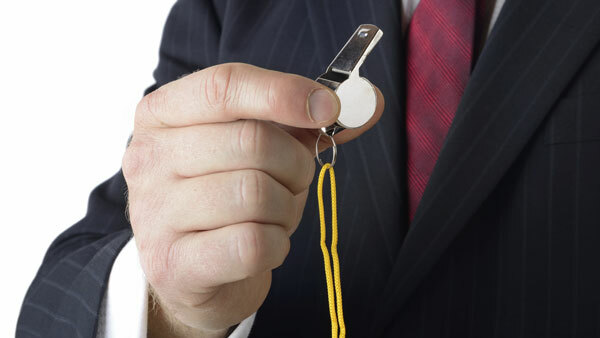 The Securities and Exchange Commission said Wednesday that it has levied its first enforcement action against a company for using “improperly restrictive language” in confidentiality agreements with the potential to stifle the whistleblowing process. The SEC charged Houston-based global technology and engineering firm KBR Inc. with violating whistleblower protection Rule 21F-17, which was enacted under the Dodd-Frank Act. According to the SEC, KBR required witnesses in certain internal investigations and interviews to sign confidentiality statements with language warning that they could face discipline and even be fired if they discussed the matters with outside parties without the prior approval of KBR’s legal department. Since these investigations included allegations of possible securities law violations, the SEC found that these terms violated Rule 21F-17, which prohibits companies from taking any action to impede whistleblowers from reporting possible securities violations to the SEC. According to the SEC’s order instituting a settled administrative proceeding, there are no apparent instances in which KBR specifically prevented employees from communicating with the SEC about specific securities law violations. But the law firm Kohn Kohn & Colapinto state in a news release that the SEC investigation into KBR was triggered by a complaint it filed on Feb. 19 on behalf of a former KBR employee, Harry Barko. The securities regulator states that “any company’s blanket prohibition against witnesses discussing the substance of the interview has a potential chilling effect on whistleblowers’ willingness to report illegal conduct” to the SEC.